Donna Meurin currently serves as the Marketing & Promotions Coordinator for the Chamber’s Convention and Visitor’s Bureau. 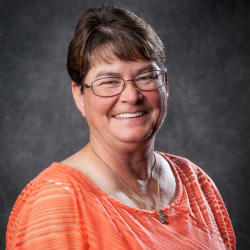 She has worked for 25 years in the Visitor Industry and has 20 years tenure with Texas Chamber of Commerce Executives. Donna is currently attending Texas Travel Industry Association Tourism College and is certified by Destinations Marketing Association International as a Professional Destination Marketer. She completed the Texas Friendly Hospitality Curriculum from Texas A&M Agrilife Extension Office. Donna is the Past President of the NBISD Special Olympics Booster Club and started the booster club and program which purchases letter jackets for upcoming juniors in high school. She is a past member of the Sturge-Weber Foundation and past Chair of the Board of the local YMCA. Donna has been married to her husband Donny Meurin for 23 years.